Once the maple syrup is ready, you can pour a little on the snow. When it freezes, you eat it like candy. A mondegreen often makes some sort of sense. It may be years before you realize that you have made a mistake. She’s as headstrong as an allegory (instead of alligator). Canadian Don Harron’s character Charlie Farquharson made hay with commentary on local and world events, using malapropisms to create double meanings and hilarious satire. In past years, each tree in the maple bush had a spigot and pail. 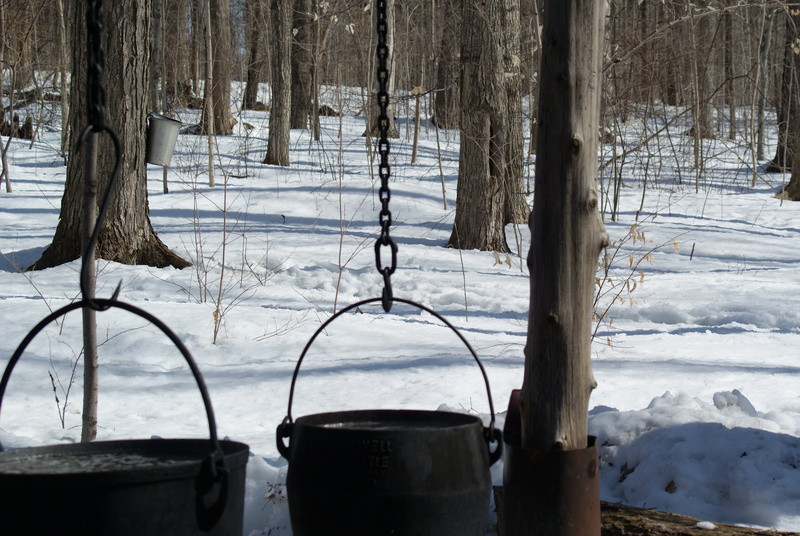 Pails were collected by hand and transported to the sugar shack by horse and wagon. Now, the spigots drain into tubes that drain into large tubs. The tubs are then transported to the sugar shack by truck. It still takes about 40 litres of sap to make a litre of maple syrup. Note: This blog post is an excerpt from a book, English Manual: Letter by Letter, to be published soon.